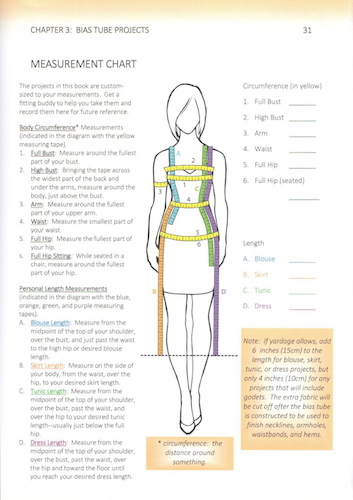 A while back, I mentioned that I was editing a sewing book. Now that it’s out, I can share the details: the book is by Julianne Bramson and Susan Lenahan, and it’s called Bias Cut Blueprints. Inspired by Madeleine Vionnet, the book presents a method of sewing bias-cut garments that minimizes sewing on the bias. Diagonal seams sewn on the straight grain are a Vionnet trademark. Bramson and Lenahan apply this technique to a zero-waste concept, the bias tube, and use it as the basis for a customized bias wardrobe. 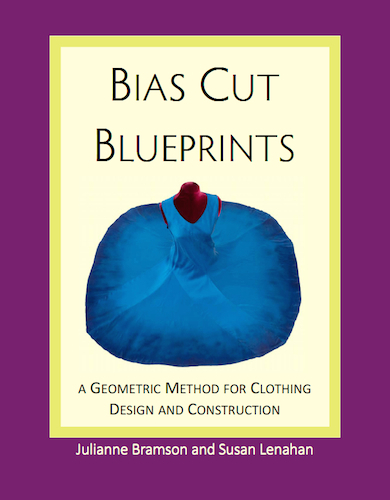 The authors are passionate about making the bias cut accessible, and the book contains a range of projects as well as tips and useful tables ranking fabrics’ performance on the bias. You can see a preview on the Fashion in Harmony website. 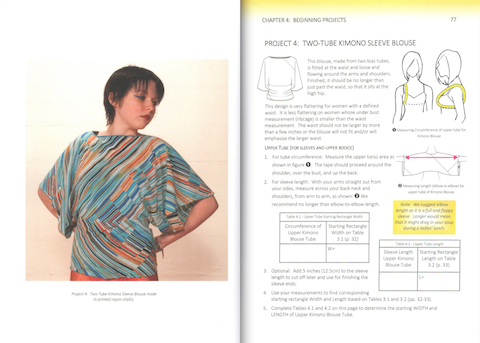 Julianne Bramson and Susan Lenahan, Bias Cut Blueprints: A Geometric Method for Clothing Design and Construction, Livermore, CA: Fashion in Harmony, 2014. Available to order from Fashion in Harmony. The frustration of bias cut full draped skirts/dresses continues for me! Sarah, first congratulations upon the editing of this extremely interesting looking tome on bias garment construction. Secondly, I downloaded the teaser, ahem ….sample section, from their web site and now of course I’ll have to order it! Working on the bias has always been a challenge, but the effect is worth the effort – now perhaps same wonderful effect, less effort. So awesome! Now we just have to get YOU a book deal! Great book but so difficult to purchase. Amazon will not ship it to Canada and the US site seems unable to process a credit card payment so I must purchase it through Abe Books in the UK and then ship it to Canada. I am sorry to read that our book is difficult to purchase! Unfortunately, we do not have any control over the ordering or payment processing in the CreateSpace eStore. We have put some signed copies up for sale on Amazon.com (US site) under the seller name of Acuteangledesign. You are also welcome to call our toll-free number (888-818-5190) to order from us directly. We can most credit cards, from most countries. Thanks for the interest in Bias Cut Blueprints, and the kind words about it. It is a much improved book due to Sarah’s excellent editing!